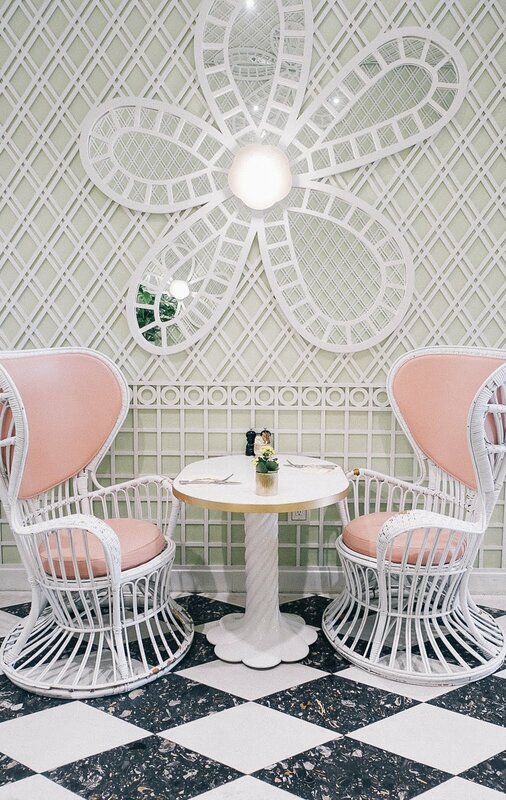 Although I spent my actual birthday in New York this year, I decided to celebrate somehow here in Los Angeles, and so naturally a brunch at the Polo Lounge would suffice! 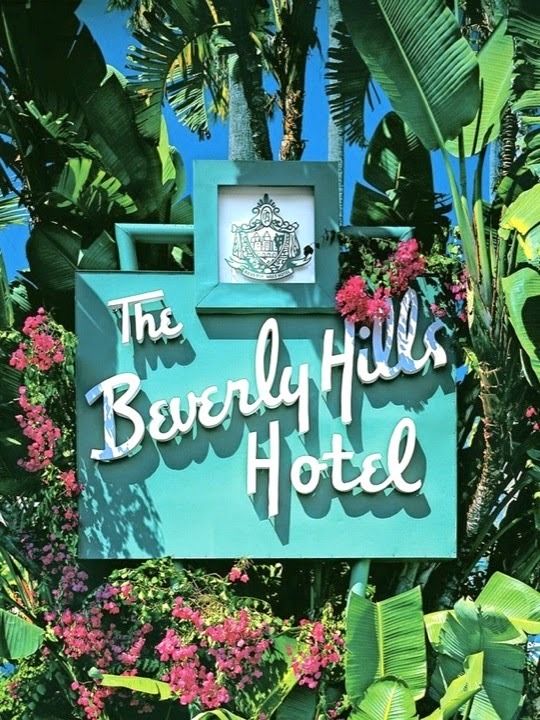 The Beverly Hills Hotel is classic Los Angeles glamour. 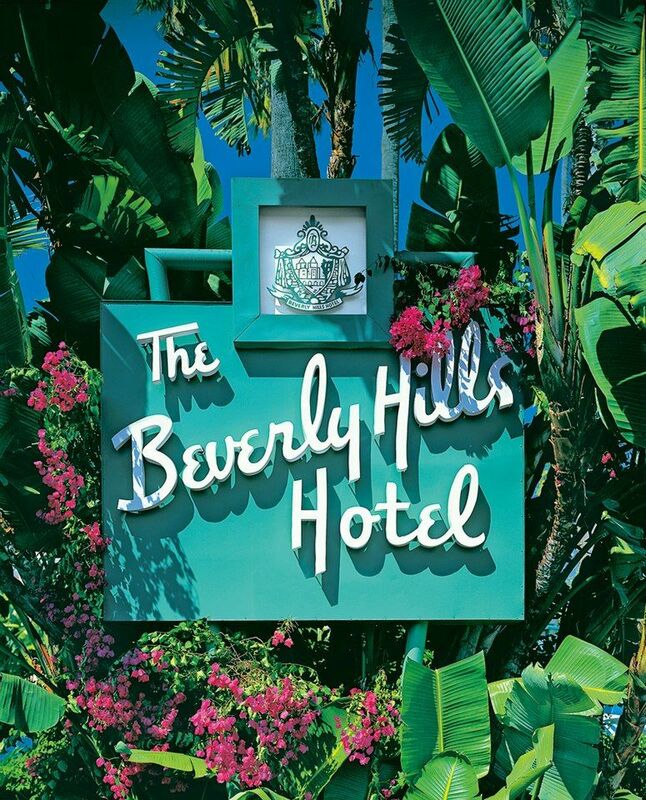 It's just a great favorite loved by so many locals, tourists and Hollywood icons. It's that laid back sophistication that sets it apart from everything else in this city. It's a retreat from the hustle and bustle with a country club/vacation home feel about it. 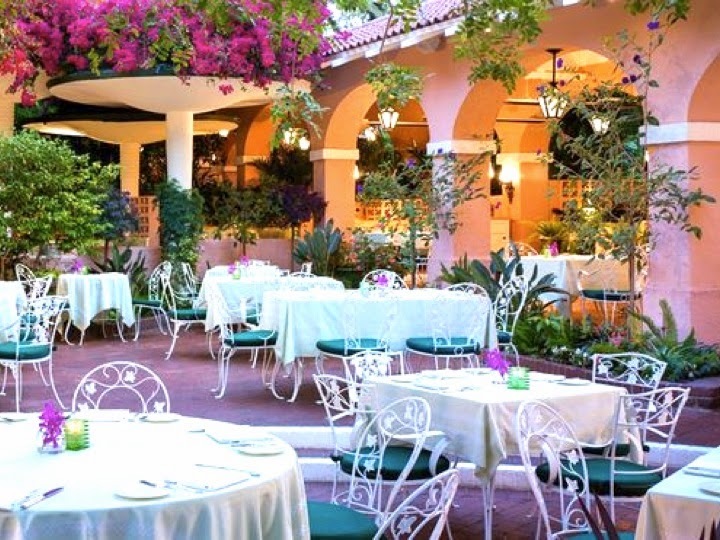 Among the many spots to dine and be entertained here, the Polo Lounge Patio is by far the best option. It can be as causal as Tuesday breakfast and as formal as Saturday night dinner. It's just a very pretty, bright garden with extremely delicious eats. The cocktails are great too, nothing disappoints. 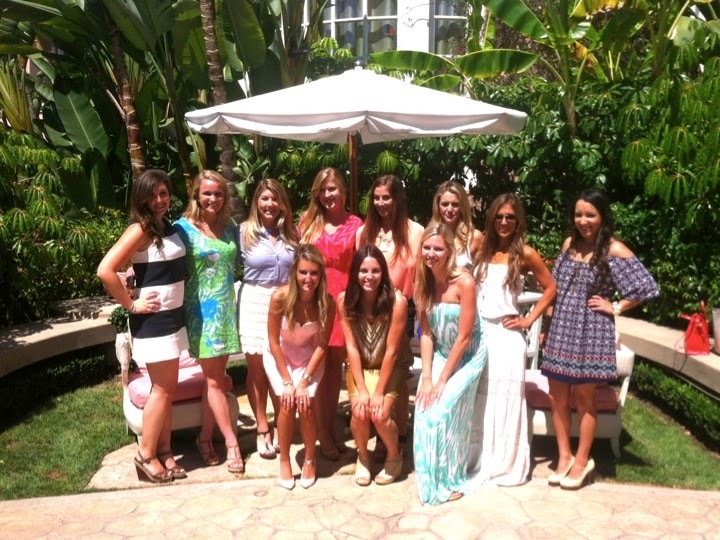 Naturally, I decided it was the best location for brunch! I couldn't have asked for a better table, filled with light, shaded with beach umbrellas bordered in my favorite shade of green. I wanted to make a cute place card for my guests, in the spirit of the Beverly Hills Hotel and so I ended up printing the Martinique wallpaper and selecting some pink and white striped paper to make a card. 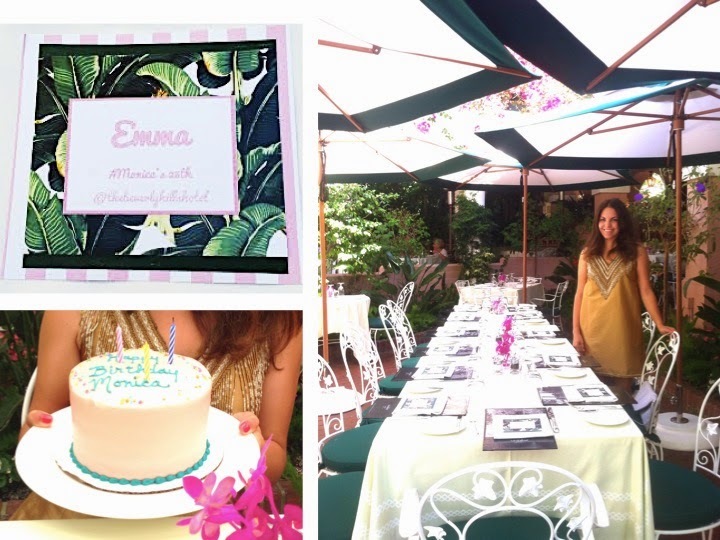 Then I attached a personalized name tag for each guest, with a birthday hashtag, #Monica's25th and location reminder @TheBeverlyHillsHotel. I guess this is what 2014 looks like! 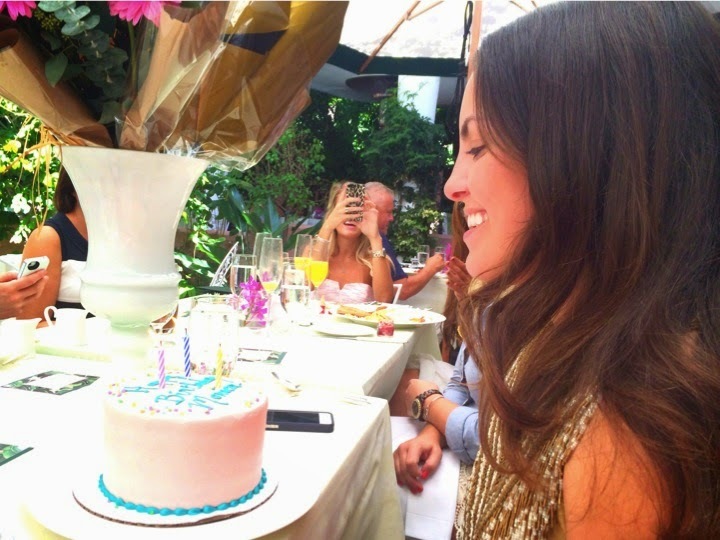 All in all it was a really nice and simple celebration, just what I wanted after my NYC trip. The marble cake was a hit, as all SusieCakes are, and of course I forgot to make a wish before blowing out my candles. I guess that's a sign of a happy, happy birthday! We had a lot of last minute decorations to add, and the staff was eager and willing to help. The food was amazing. They have extremely unique and tasty food. Also this place for events in NYC has great views and beautiful big rooms.